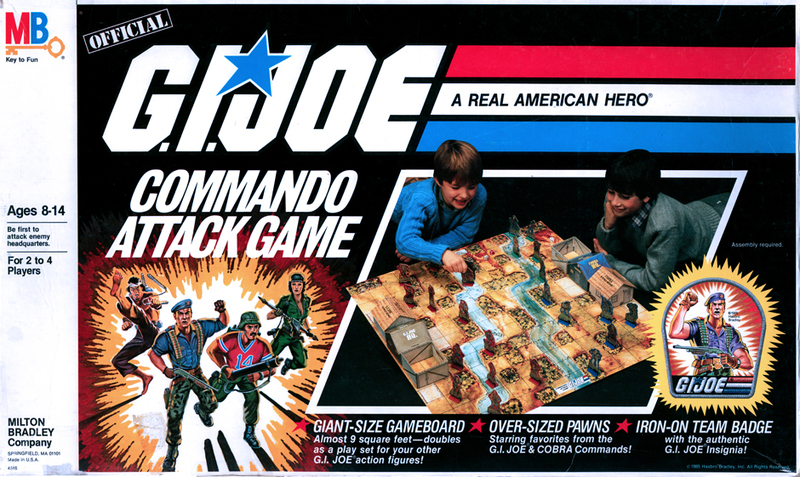 Hasbro bought Milton Bradley in 1984, ending 124 years of family ownership. 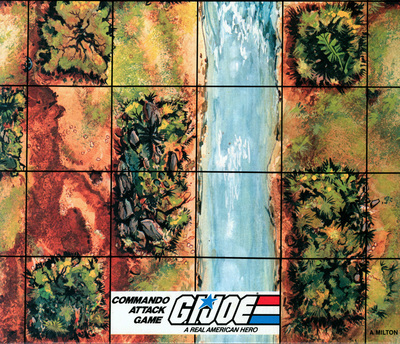 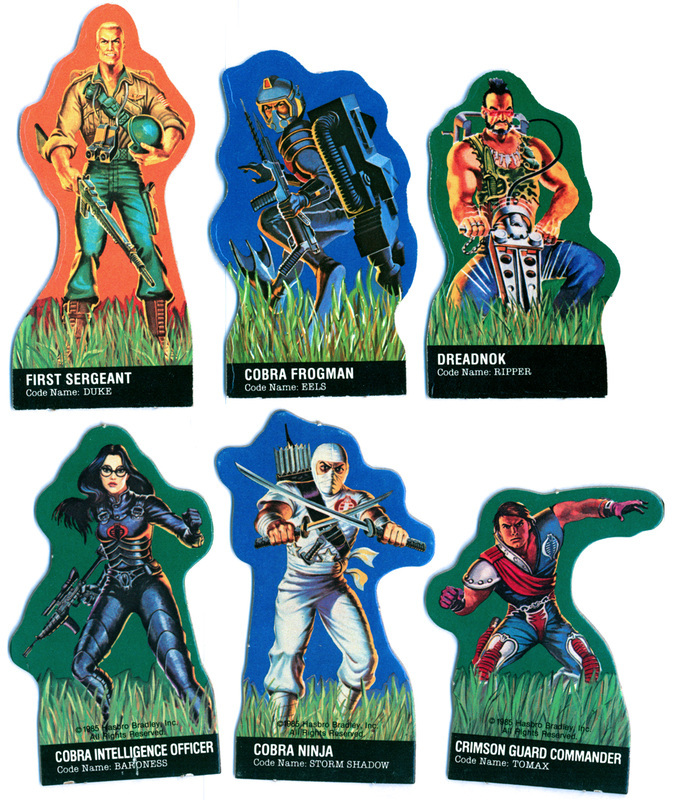 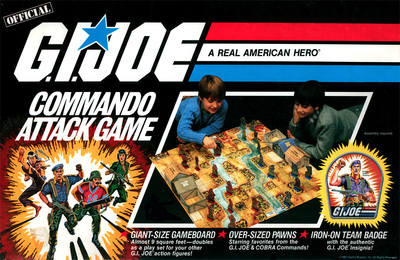 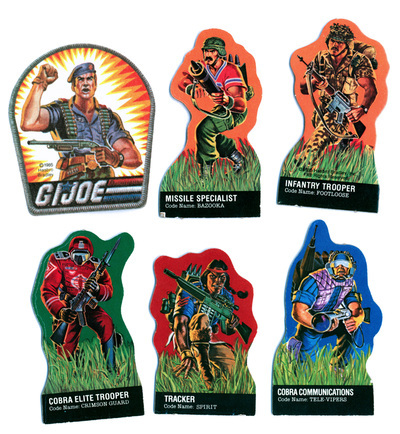 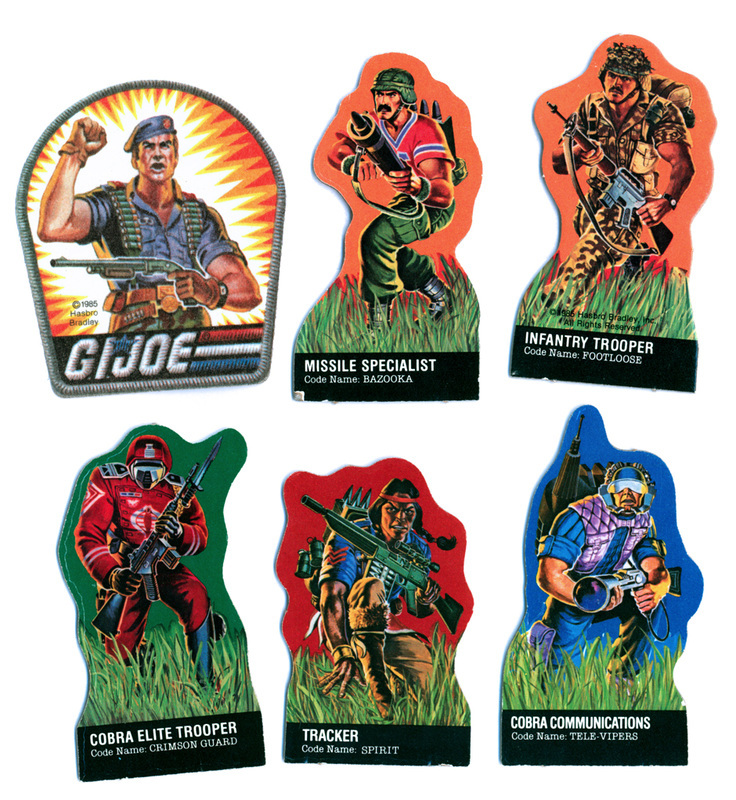 In 1985 Milton Bradley and Hasbro released the G.I.Joe: A Real American Hero Commando Attack Game, which featured unique painted art on the box front, game board and buildings. 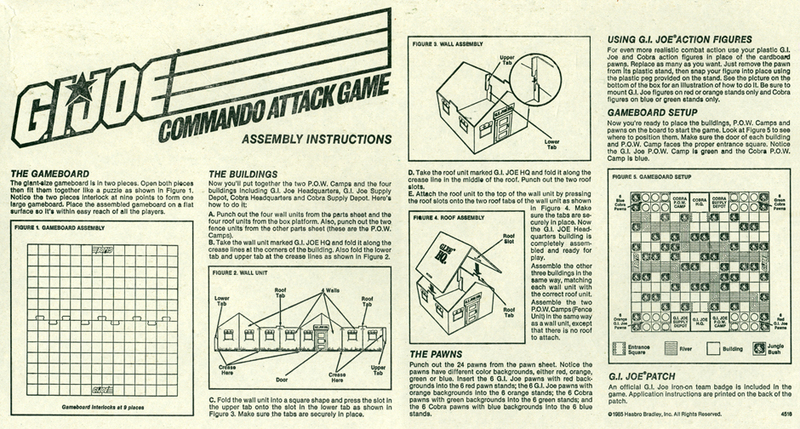 ​Roll over the images below for more info, or click them to view full screen. 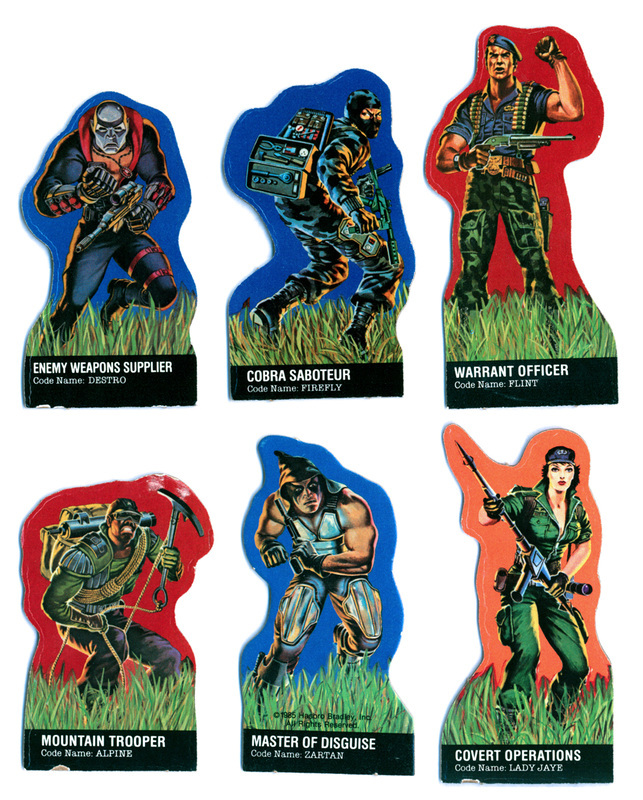 The box front features art that is very similar to the individual figure's card art, but of a lower quality. 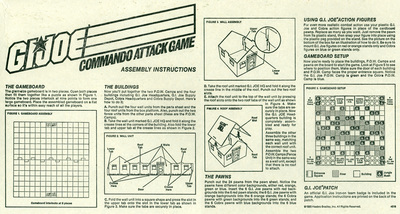 The inside of the box features detailed instructions for assembly and gameplay. The giant-size game board spans nearly nine square feet! Here's one panel. 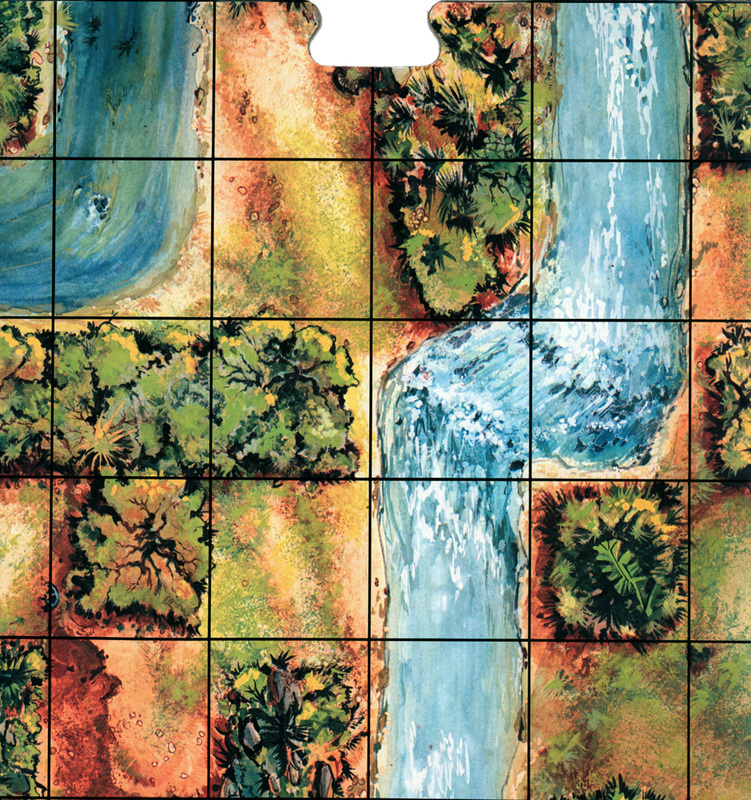 The giant-size game board spans nearly nine square feet! Here's another panel. 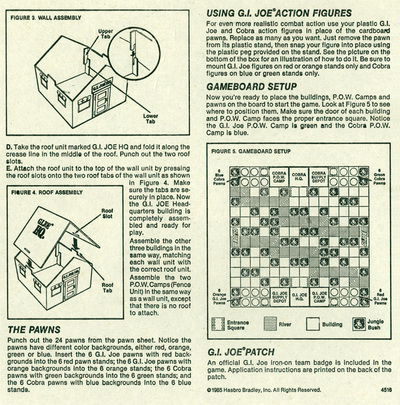 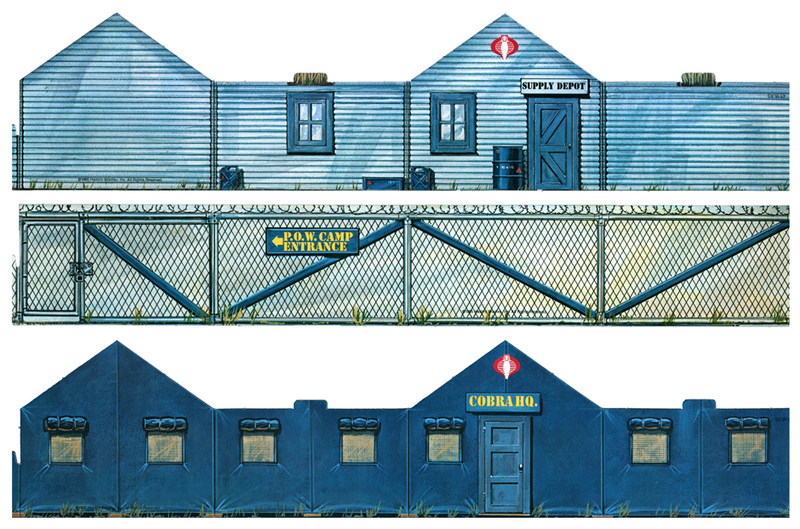 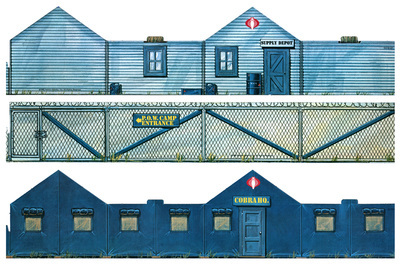 The G.I.Joe's Supply Depot, P.O.W. 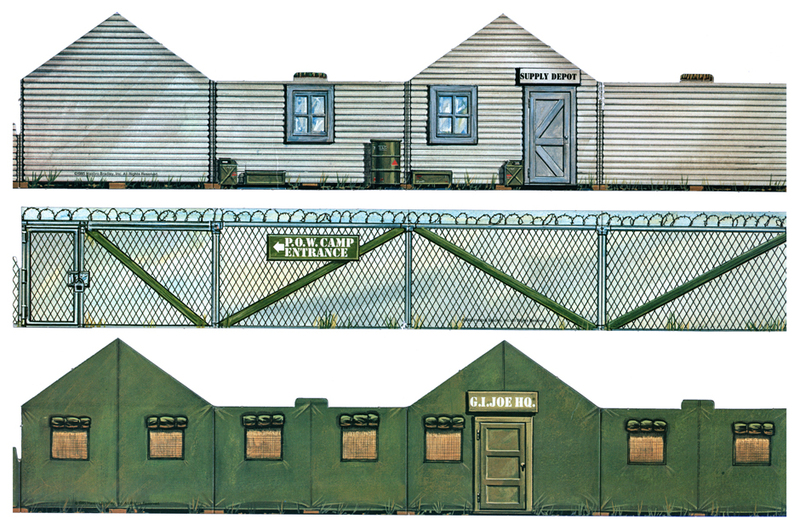 Camp (prisoner of war), and H.Q. 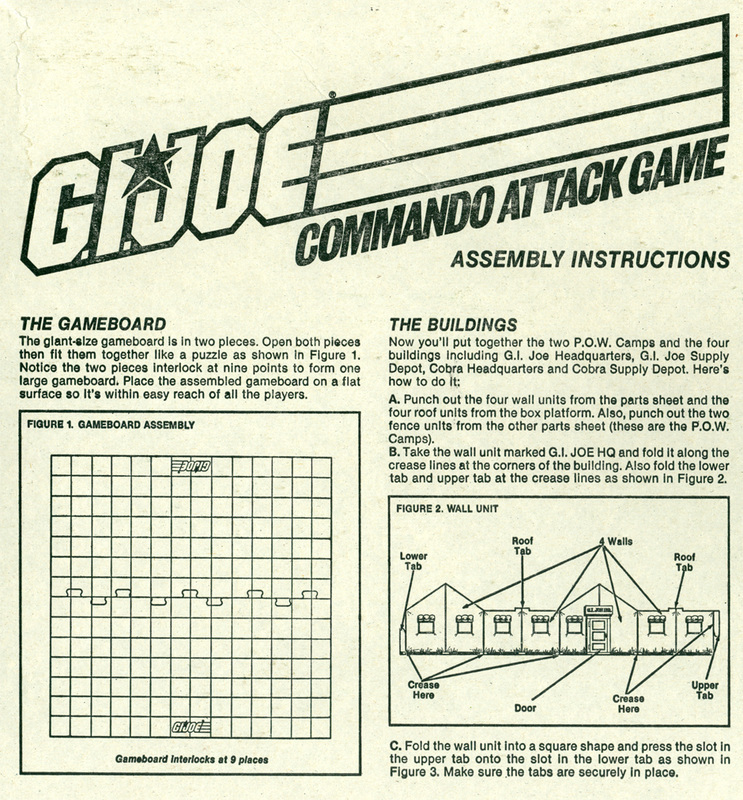 (headquarters). 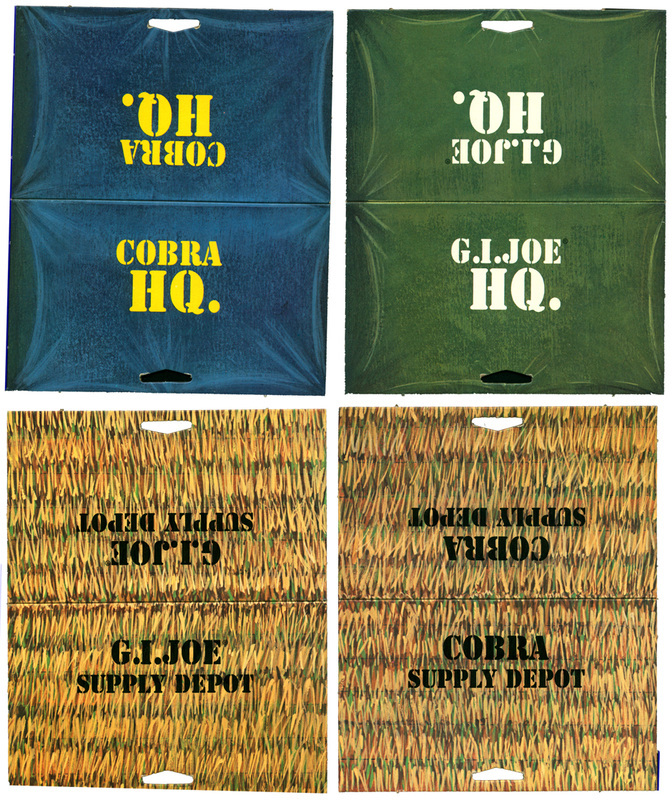 Roof pieces for Joe and Cobra H.Q.s and Supply Depots. 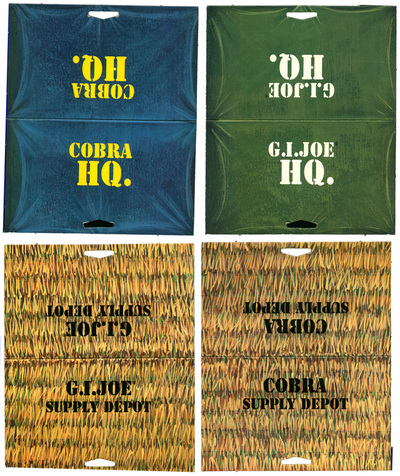 Cobra's Supply Depot, P.O.W. 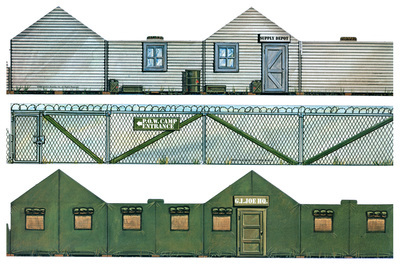 Camp (prisoner of war), and H.Q. 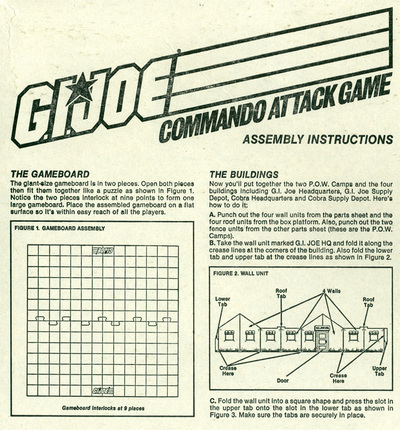 (headquarters). 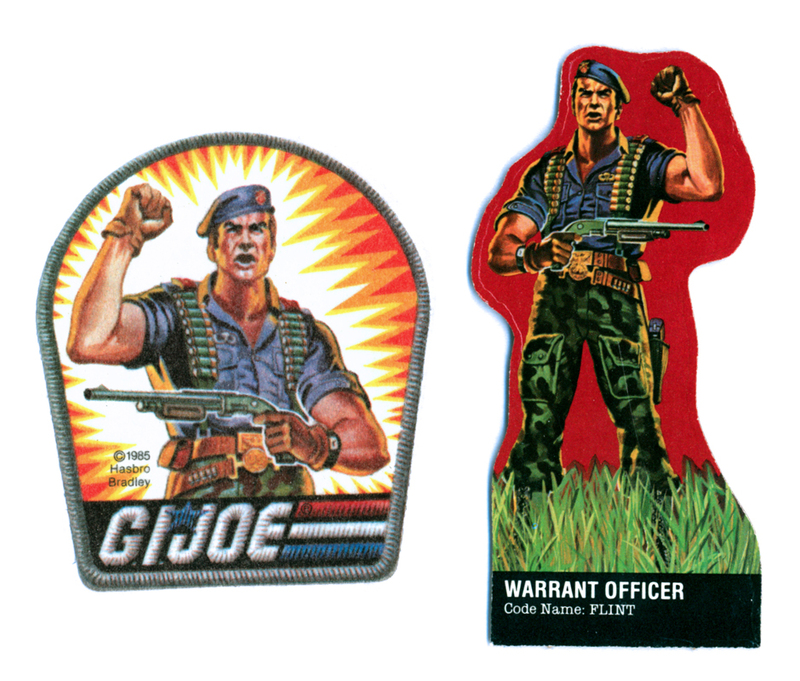 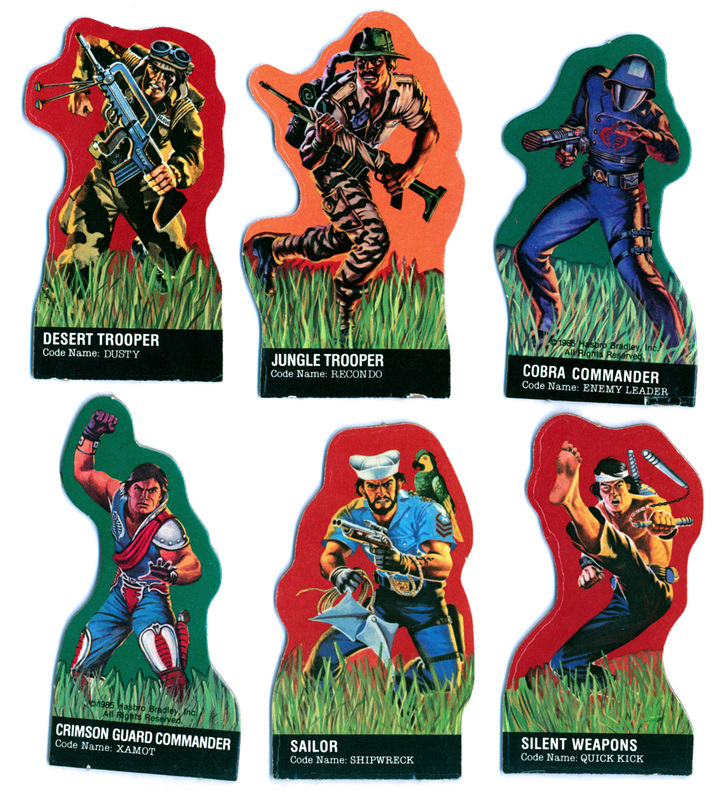 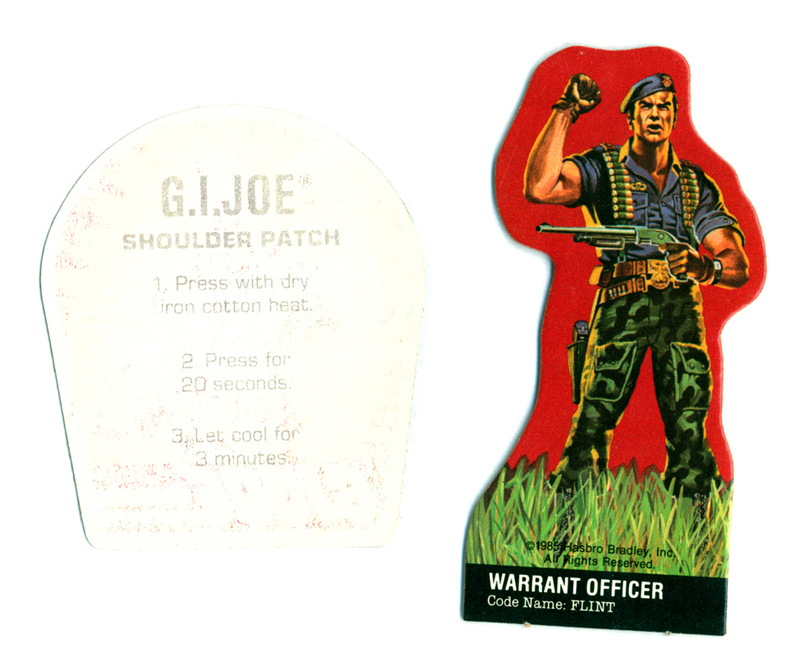 The 1985 Commando Attack Game came with an iron-on team badge and 24 over-sized pawns (figure pieces). 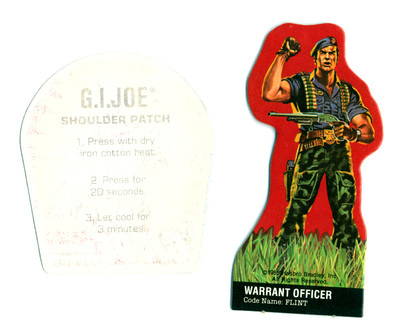 Pawns featured the original figure's card art modified to be standing in grass and reversed on the back. 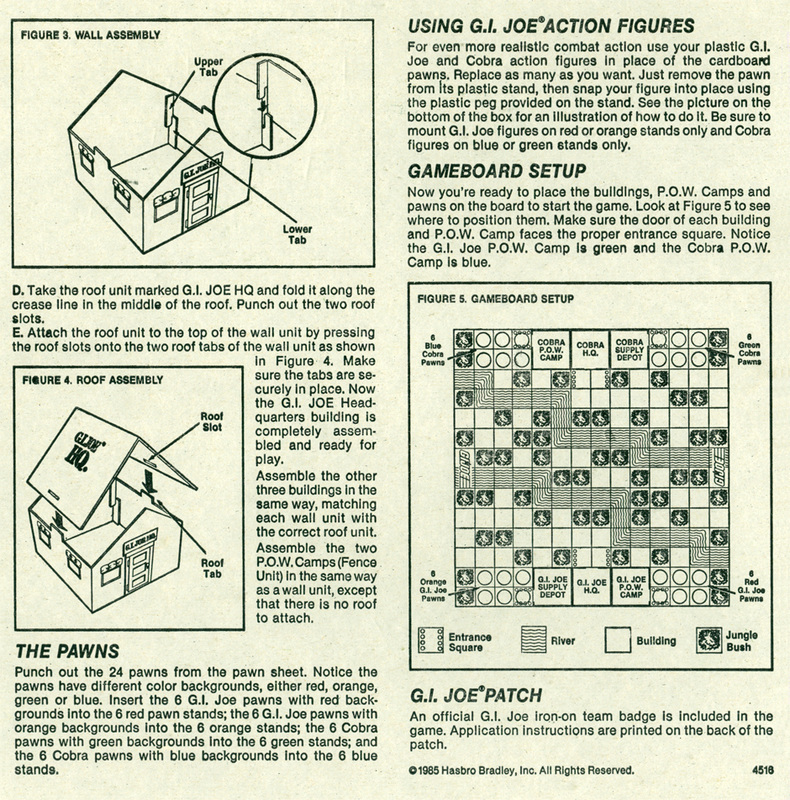 23 pawns. Gung-Ho is missing and not pictured.